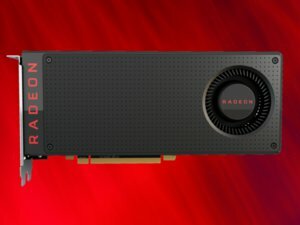 AMD brings FreeSync support and the Radeon Pro Software driver to Linux. Windows is the indisputable platform of choice for gaming and VR, but Linux is catching up fast as graphics companies ramp up driver and hardware support for the OS. AMD is showing more love for Linux than ever before. The company on Thursday announced some hardware and driver updates that will strengthen gaming and VR on the OS. The biggest news is AMD’s support for FreeSync on Linux PCs. FreeSync can improve the rendition of games and high-definition video by allowing GPUs to communicate directly with displays, reducing image stutter and lag time. Images are drawn up on the screen while they are being rendered in GPUs. This is the first time AMD is bringing FreeSync support to Linux. It was earlier available only on Windows PCs. Additionally, AMD is making it easier to create VR content on Linux. The company announced Radeon Pro Software Linux driver, which will allow the use of powerful Radeon Pro GPUs based on Polaris architecture to create VR content. The software can also be used for CAD/CAM, engineering, and medical applications. The software driver works with Ubuntu, CentOS, and Red Hat Enterprise Linux. It also supports the cross-platform Vulkan API, which is commonly used to develop games and graphics-related programs. GPUs are gaining more importance in high-performance computing, a market that AMD is trying to reestablish itself in. Linux is a dominant OS in supercomputing, with most of the world’s 500 fastest supercomputers using the OS. But in PCs and workstations, Windows still rules. The incremental improvements from AMD will strengthen Linux as a multimedia platform, a big change from years ago when the OS and high-quality gaming didn’t go hand in hand. But the emergence of SteamOS and Vulkan API is turning Linux into a viable gaming platform. AMD has shown more commitment to Linux than Nvidia with open-source drivers and a wider set of programming tools like GPUOpen and ROCm. Historically, Nvidia’s graphics drivers haven’t played well with Linux, though the company is slowly changing its tune with open-source drivers. Last month, System76 started selling the Oryx Pro laptop with Ubuntu OS and Nvidia’s GeForce GTX 1070 GPU.